It’s been an excellent few years for housing. Since 2012, home values have climbed than 30% nationwide, pushing prices past the peaks of last decade. Meanwhile, as value climbs, so does home equity. According to RealtyTrac, more than 20% of U.S. homes are now “equity-rich” and many more boast substantial home equity compared to just several years ago. For homeowners with children of high school age, the return of home equity presents an interesting option. 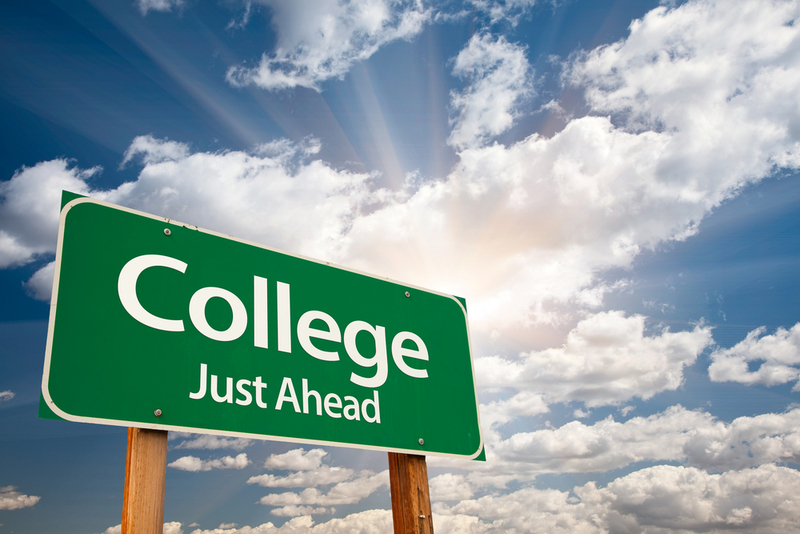 Few students receive partial scholarships to college for academic or athletic reasons; and even fewer earn full-ride scholarships. This leaves the burden of tuition payments to non-scholarship students and their families, who face the brunt of rising tuition costs. Since 1971, college tuition has outpaced inflation by six percent per year. So, what should you do? Homeowners who have been saving to a 529 College Savings Account likely have some of the required monies to send a child to school, but not all. Therefore, you may be planning to apply for student loans, or to use some other means to pay for a four-year tuition, plus your student’s room-and-board. If you own a home and your home has increased in value this decade, then, don’t overlook your fourth option pay for the costs of college, your home’s own equity. For example, if your home is worth $400,000 and you owe $300,000 to your lender(s), your home equity equals $100,000. This is real wealth and real dollars. Unfortunately, though, home equity remains “money on paper”. It can’t be spent directly nor can it be invested. In order to access your home equity, you’re required to either sell your home, or borrow against it. One way to borrow against your home equity is via a certain type of mortgage refinance known as a Cash-Out Refinance, which is available from any mortgage lender. With a cash-out refinance, your existing mortgage is replaced with a new one; and, cash is handed to you at settlement. Your former mortgage rate gets retired, replaced with a new one reflecting the current mortgage market. According to Freddie Mac, today’s mortgage market has rates near 3.75% for a prime mortgage borrower. For borrowers looking to do a cash-out refinance, rates are slightly higher. A second way to borrow against your home equity is via a Home Equity Loan (HELOAN) or Home Equity Line of Credit (HELOC). With a home equity loans, you’ve handed cash at settlement to use as you please. The loan is repaid in installments, with a portion of the loan repaid each month with interest. Home equity lines of credit works a little bit differently — they function more like a credit card. With a home equity line of credit, you’re handed no money at settlement. Instead, you’re given a checkbook and debit card which “draw” against your available equity. Borrow as much or as little as you want, and pay interest only on what you’re currently borrowing. Unlike a HELOAN which slowly pays down to zero, HELOCs start at $0 andcan be paid up or paid at any time. With home equity increasing and current mortgage rates low, U.S. homeowners are doing more cash-out refinances than during any period this decade. “Paying for college” is among the reason why they’re doing it. But, just because your home has equity, should you be using that equity to pay for your child’s schooling? There are advantages and disadvantages to consider. Middle class families are often stuck between a rock and hard place when seeking financial aid. Their Expected Family Contribution may be too high to qualify for federal aid; but their savings too low to cover tuition costs. For homeowners such as this, borrowing home equity can be wise. If your mortgage rate is currently in the 5s or higher, consider your cash-out refinance options. Your cash-out refi will give you access to your home equity and it may lower your overall interest costs. Additionally, tax law is favorable toward mortgage interest paid so be sure to speak with your accountant regarding how cash-out refinances can lower a person’s annual tax bill. For borrowers whose rates are already low, the HELOC or HELOAN may be a better option. Home equity is an asset. Mortgage loans are a debt. Therefore, when you convert your home equity to a loan, you increase your overall debt obligations of your household. With a mortgage, the consequences can be devastating. Unlike defaulting on student debt, which will harm your credit rating and may force a personal bankruptcy, defaulting on your mortgage can lead to the loss of your home via foreclosure. This is why cash-out refinances should be considered carefully. Will you have resources to make payments in the event you lose your job? What about in the aftermath of a medical crisis, which burdens you with medical bills? For households without reserves or lacking sufficient insurance, using home equity to pay for college may introduce unnecessary risks. There’s nothing wrong with gathering information and exploring all of your options. Just think carefully through the repercussions before you make any lasting decisions.